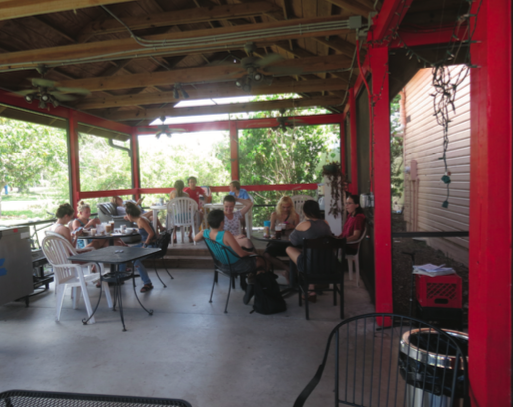 The Sarasota Honey Company is unique in more ways than one. With a commitment to bee conservation, social responsibility and quality honey production, there is no doubt as to why they are making waves in the community. This local business is a family-owned and community-driven apiary producing a number of products all made from bee colonies in Sarasota and Manatee County. 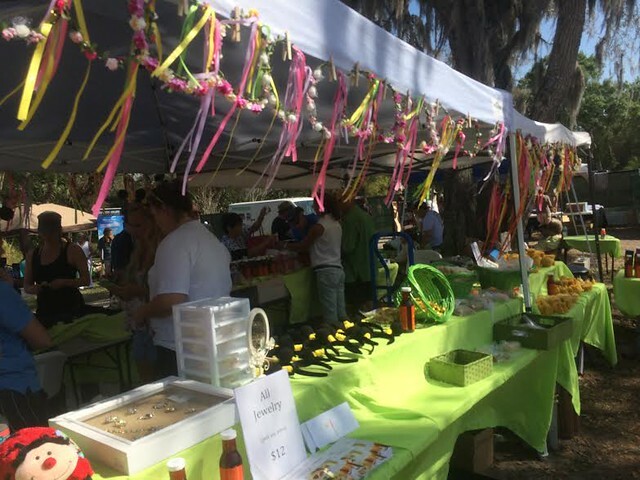 On Saturday, March 12 the Sarasota Honey Company presented the 1st Annual Honey Bee Festival in partnership with the Suncoast Beekeepers Association to benefit the creation of the Florida Honey Bee Research Lab to Save the Bees. The festival, located at Sweetgrass Farms on Carolina Street, featured strawberry picking, a craft fair with vendors, live entertainment, local food artisans, honey tastings, educational booths on back-yard beekeeping, pollination and much more. Alma and Glenn Johnson, the owners and founders of the Sarasota Honey Company, began their business after overcoming serious health issues that led them to learn about and produce fresh organic food. After starting a garden the couple came to the realization that they would need to pollinate their own vegetables by hand due to the lack of bees. This sparked the couple’s interest in beekeeping and conservation. Alma Johnson is the head beekeeper, caring for thousands of Italian honeybees. She oversees all of the colonies, the host-a-hive program, bee removals, bee supply orders and beekeeping workshops. She also heads the company’s community involvement and leads a free weekly youth group for transitioning young adults with special needs. Meanwhile Glenn Johnson is the company’s graphic designer and director of marketing. The Johnson’s are one of about 60 beekeepers in Sarasota, maintaining dozens of colonies scattered around the city. The Johnsons and staff are certified by the Florida Department of Agriculture and Consumer Services. They tend to the hives every week, feeding the bees jars of sugar water when necessary, mending the wooden colony boxes and collecting honey. 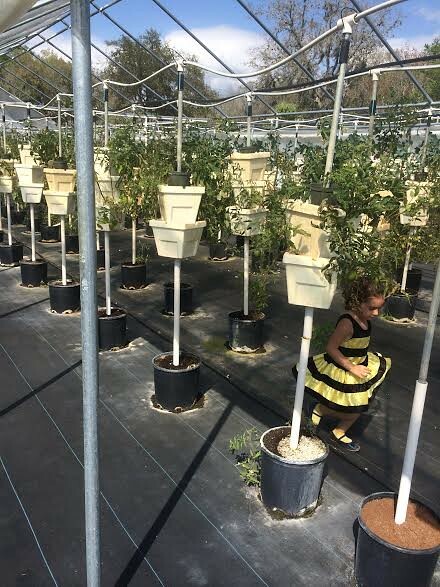 The Sarasota Honey Company has a unique commitment to the special needs community. The company pledges a portion of their proceeds from their Host-a-Hive program to benefit local people with disabilities in the Sarasota and Manatee areas. Many of their products benefit, and are made by, local people with disabilities. Their honey is harvested, bottled and labeled by people with special needs who are compensated for their work. Residents of the Community Haven for Adults and Children with Disabilities also make soaps and candles out of beeswax. Along with sponsoring an Annual Special Needs Prom, the company also pays the tuition to University of Florida’s Bee College for their special needs beekeepers. As the company grows it also aims to increase mentorship and employment of people of all special abilities. The Johnsons hope to provide more support programs and events that offer life skills and promote inclusion. They also want to promote self determination and self advocacy, and free independent living and employment training to transitioning special needs youth. It is common for commercial honey businesses to operate a small number of “bee yards” in areas with 60 plus bee colonies. Due to the large size of these bee yards they are usually located in rural areas. The Sarasota Bee Company believes in raising colonies in urban areas rather than rural ones, as they can be exposed to mono-crops and their pesticides, and are beneficial to the pollination of these communities. The company has increased their number of bee yards and placed within them fewer colonies, often three to 16. The Johnsons believe this practice makes for healthier hives. When nectar is scarce, some apiaries feed their bees high fructose corn syrup as it is a cheap substitute. The Sarasota Honey Company rarely needs to feed their bees as the colonies thrive in urban areas, but if nectar is scarce the company feeds the bees honey, or sugar water with vitamins, enzymes and amino acids. Most apiary companies conduct one harvest at a time and combine all of the product to form one batch, despite diversity in location or quality. The Sarasota Honey Company does not blend from one major location to another or pasteurize and therefore offers a myriad of flavors that can change with every season. 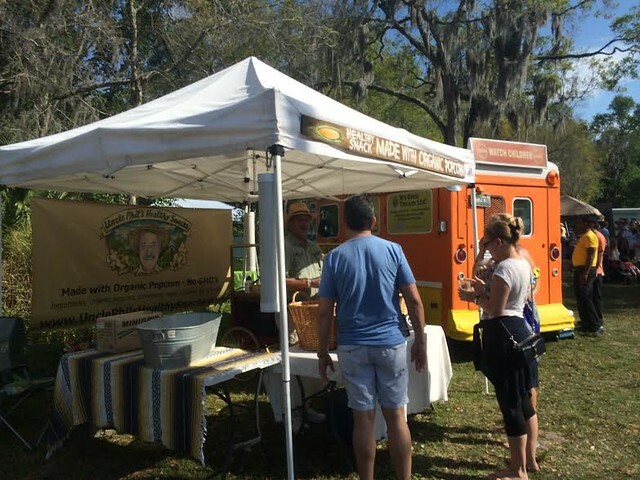 The Sarasota Honey Company currently has a booth at the Phillippi Farmhouse Market, Sarasota’s mid-week farmers market, which is open from 9 a.m. to 2 p.m. every Wednesday, October through April, at Phillippi Estate Park. The company has also opened a “honor system” honey box. To buy honey through the box customers email Johnson at alma@sarasotahoney.com or text or call (941)726-8755. The Johnsons will place a honey order in a bag with the customer’s name in the honey box for 24/7 pick up. Customers can pay online or leave a check in the front mailbox using the incoming mail slot. The box is located behind a white mailbox at 725 45th Street, Sarasota, FL 34234. 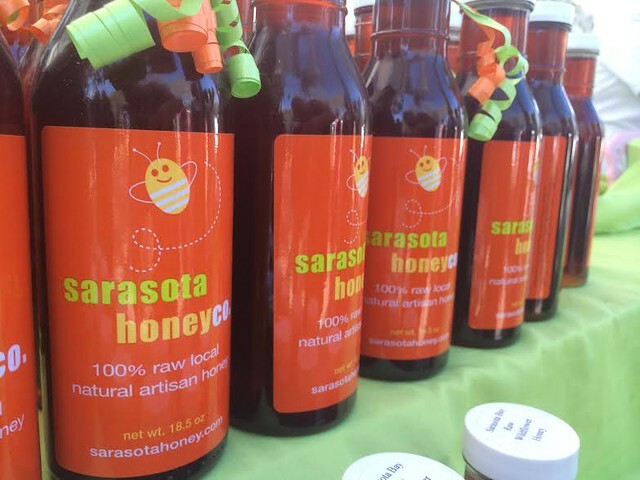 The Sarasota Honey Company’s products can also be found at Sarasota’s Downtown Farmers Market, Sweet Grass Farms, D’lites Shoppe, Sarasota Jungle Gardens Gift Shop, Simon’s Coffee House and the Creekside Trader Gift Shop. A full list of locations can be found at The Sarasota Honey Company’s website. The honeybee has been domesticated by humans for some 13 millennia. Domesticated bees are around two thirds of the total bee population in the world. Butterflies, other insects, hummingbirds and even bats in the tropics pollinate too, but in the United States, Europe and elsewhere, domesticated bees are a major player in agriculture. Bee colonies across the country have been devastated in recent years by mysterious population collapses. The loss of more than one­ third of the bee population threatens a large portion of the world’s crops that depend on bees for pollination. Normal annual loss of colonies hovered around 10 percent until 2006 when the die-off reached more than 30 percent. For the winter and spring of 2006 and 2007, bee researchers coined the new phrase Colony Collapse Disorder. 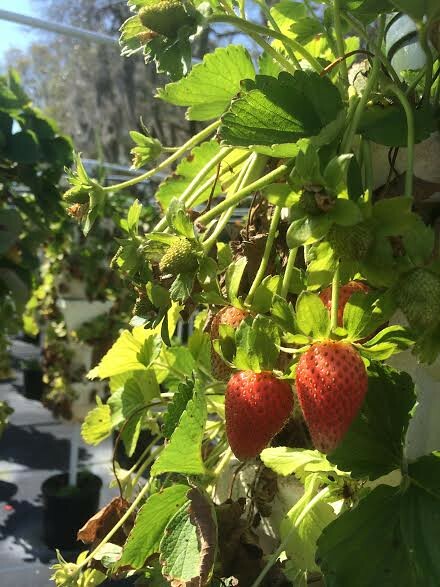 Once fruits, vegetables and ornamentals are sprayed, the chemical is quickly taken up by the plant’s vascular system, rendering the plant poisonous to insects who feed on the leaves, pollen and nectar. Alternatively, the plant’s seeds are soaked or the soil is treated with the chemical, in which case the same result will occur. Even at sublethal doses, the chemical can interfere with the bees’ immune systems, make them vulnerable to pests and damage their ability to navigate back to the hive. Neonicotinoids are prohibited in the European Union, whereas chemicals in the United States are generally outlawed only after the chemical has been used and negative consequences have been observed. In addition, lawn fertilizers also frequently contain weed-killing substances which persist in the soil for three years, making future plants, flowers or vegetables planted there poisonous to bees.